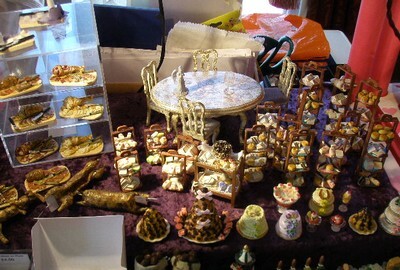 Quality Dolls House Miniatures and Crafts supplier. Please take a few moments to look at the wide selection of items that are available, for you to display in your miniature rooms, homes and other projects. Also look at the range of crafting products that I have, there may just be that little something that you might be looking for. Note that On Line Shop prices are not the same as other sales outlets we have. There fore the on line shop prices refer to items on sale within the on line shop only. British Hand Crafted foods and many items also. 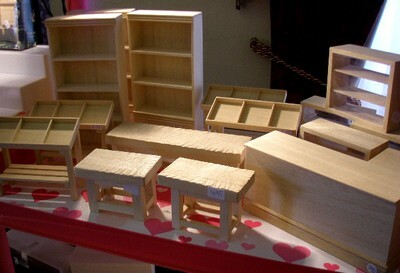 Produced by British crafters and indeed several of the items are hand made by myself. Items that are highlighted with a ** code are British Hand Made. Whether, you are a Dolls House Miniaturist, Card,Hobby or other crafter, collector or all areas, please take a moment to browse. I try to offer a range of items covering many different hobbys. Note; Items are intended as display or collectors use, they are not toys and therfore unsuitible for children under 14 years of age.